LOS ANGELES (November 2, 2017) – Dunn-Edwards has teamed with Pop Up Greens, a Los Angeles-based shop specializing in hand-painted pots, to celebrate the company’s 2018 Trend Colors. 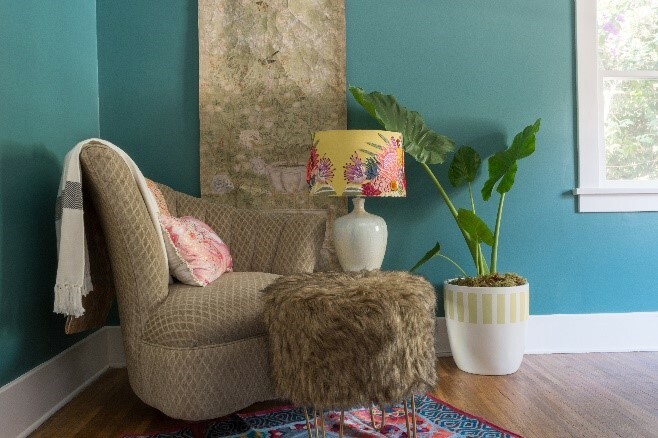 The Pop Up Greens x Dunn-Edwards 2018 Trends Collection features five of the paint company’s top Trend Colors for the coming year. Three new designs created especially for the collection will also be available. The 2018 Color and Design Trends Report features five color palettes with an emphasis on Celebrations – of memories, natural wonders, the stars and unknown, life’s adventures and childhood joys. Sara McLean, color expert and stylist for Dunn-Edwards, chose the color trends after researching everything from world events, lifestyle, fashion and food to trends in travel, wellness and individuality. When choosing colors for the collection, Rhymer was immediately drawn to Natural Wonders. “I wanted colors that feel organic and subtle, a color you would see in nature and that goes well with the green foliage of plants.” After pulling the Trend Color options, she worked with McLean on the final color selections for the collection. 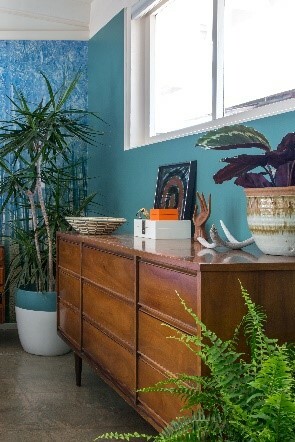 The pots showcase five Trend Colors: DET544 The Green Hour, Dunn-Edwards’ 2018 Color of the Year; DE5477 Fresh Honeydew; DE6094 Canyon Dusk; DE5257 Fall Foliage and DET550 Heritage Blue. Made from fiberglass, these hand-painted pots are lightweight and durable, and range in sizes from 7.5” to 15.5”. All the pots are painted using ARISTOSHIELD® in eggshell from the Dunn-Edwards Ultra-Premium line of paints. Prices start at $60 for the 7.5” to $160 for the 15.5” size. The limited-edition collection is available for purchase on PopUpGreens.co through May 31, 2018. 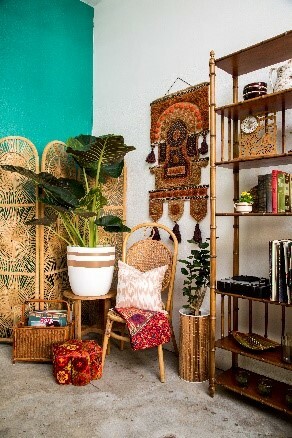 Pop Up Greens is a Los Angeles-based brand specializing in hand-painted pots, and interior and exterior plant decor. Launched in 2015 by Molly Rhymer, Pop Up Greens offers lightweight, custom pots in their online shop, along with “plantscaping” services for retail and office décor. For more information, visit www.popupgreens.co and Pop Up Greens on Instagram.